From a failed bulb replacement, to a full engine exchange, we have three vehicle service bays each of which are capable of taking up to 3000kg light commercial vehicles. We cover all types and size of work from a simple mini-service and pre winter check up to a full accident damage repair work. We are always happy to discus any enquiries from our customers. Our improved MOT Test and Service section allows Peter Morris Cars to take care of your annual MOT needs. For just £44.95 for our MOT, we also offer a free retest if the failure work is carried out at Peter Morris Cars. 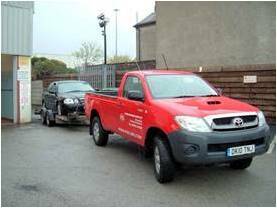 A special service also available at PMC Ltd, is a fully professional recovery vehicle. 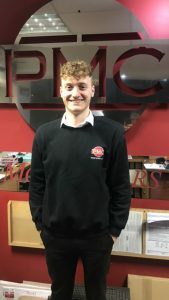 For over 15 years, PMC have proved an excellent recovery service where we are able to recover your vehicle and solve the problem which you may have. Above, you can see the recovery vehicle, fully equipped and able to solve most of your problems at the scene of the incident. 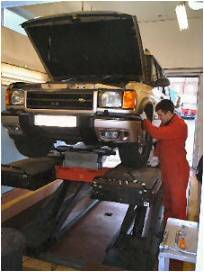 It is able to return any type of vehicle to either your home or to our service centre for repairs. Let us take the strain of trying to solve the problem, depending on the situation we will be more than welcome to supply you with a courtesy car whilst your own vehicle is being fixed at our specialists Service Centre. Jake joined Peter Morris Cars as a Service Advisor in October 2017 and is looking forward to assisting you when contacting Peter Morris Cars for any service, spare parts or valeting enquiries.